For women over 50, we want the best anti aging serums we can get. Anything to help make our skin look and/or feel younger is definitely something that will grab our attention and make our ears prick up. With so many different products containing so many different ingredients it can be both overwhelming and confusing trying to select the one that is best for us. My personal opinion is that there are a few anti aging serums out there that are very, very good for specific circumstances and there are also some that are just plain bad. However I believe that most of the products you can buy today are somewhere around the middle ground and work more or less as well as each other. So choosing the best serum for you is a matter of choosing one that suits your own personal preferences in areas such as smell, texture, sheen and other similar factors. Of course you want one that works well to stop and hopefully even reverse the effects of aging and I aim to present some options below to help you choose what might be best for you. 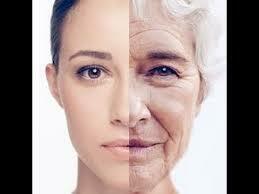 Skin care is important for women of all ages but it becomes particularly important for older women over the age of 50. In our fifties our skin can really start to sag and droop and if you are anything like me then you will want to know every single tip and trick you can find out to slow down or reverse the horrible process known as aging. Luckily there are now a myriad of moisturizers, creams, treatments and serums available to help us in the war against wrinkles. There used to be only anti aging creams but now it is not just creams, there are a host of other different anti aging supplements out there. Because there are so many different products available it can often be overwhelming and downright confusing trying to work through the maze of products to find one that suits your needs. Personally I think that anti aging serums work the best so in this article I am going to concentrate on serums, and hopefully make the journey less overwhelming and confusing for you. Ever heard the old saying, “a stitch in time saves nine”? Well this is particularly true with skin care. In just the same was as an extra minute spent on a task can save 9 minutes of work to fix it later down the track, an extra minute or two looking after your skin in a preventative way is worth lots of effort trying to fix damage down the track. Moisturizing, protecting your skin from the sun, maintaining a good diet and keeping hydrated will go a long way towards extending the longevity of your skin. Find a Good Routine And Be Consistent! It seems that in some ways skin care is like dieting – lots of discipline and hard work to keep it good can be undone so quickly and easily, and this can be so disheartening at times. You can eat really well and spend a lot of time keeping your skin clean and healthy and then with a few hours of unprotected sun exposure in the middle of the day you suddenly find your skin red and dry for days. Then if you are lucky it will peel as well. Or maybe you go through a day or two of eating poorly and you suffer from a horrible pimply breakout. The key to good skin is to be consistent and try your hardest to avoid things like sunburn, and make sure to regularly cleanse your skin to avoid clogging your pores and getting breakouts. Unfortunately despite our best intentions we do not always look after ourselves as well as we should and even when we do aging still happens so in order to try and combat this we can use a serum. The serums I’ve listed below are what I think are the best ones in each category and hopefully this can be of some use to you. In my opinion, one of the best value for money anti aging serums would have to be OZNaturals – Hyaluronic Acid Serum With Vitamin C. This stuff is cheap but seems to work really well and easily stands up next to some of the more expensive products available. Personally I don’t like the smell but in terms of the way it works I have heard a lot of good things about it and a lot of women over 50 seem to get really good results when they use it regularly. It is a good consistency and while the smell is not as nice or natural as some of the more expensive products it is not too bad and if you don’t mind it then this retinol is great value. For women with dry skin, (which is almost everyone at some time in their life, or some part of the year) it is all well and good to use a serum but if it dries your skin out then what’s the point! Especially for older women over 50, dry skin is an enemy that must be defeated at all costs. I think the best kind of anti aging serum for a women with dry skin is one that has a moisturizing component in it as well. I get dry skin in the fall and during this time of year I like to use the Radha Beauty Retinol Moisturizer. It keeps the wrinkles at bay while still moisturizing which is important for me as it can be quite dry winds where I live. It is always difficult to find good products to use on oily skin and having a daughter with skin that can sometimes be oily I know this all too well. I have heard amazing things about Clinique Acne Solutions Acne + Line Correcting Serum. I think this is targeted towards younger women with acne but from what I have heard about it from my daughter and also some older women with oily skin that I know it is fantastic. My daughter swears by it and says that even though it’s expensive it is worth every dime. So far I have spoken about serums that I know or have used which are all moderately priced. However if you are looking for a high end anti aging serum and money is no issue for you then you may want to look at something like the Elizabeth Arden Prevage Anti-Aging Daily Serum. I have only ever sampled this so cannot vouch for the long term effectiveness of it but from what I have seen and heard this is one of, if not the number 1 best anti aging serum you can buy. Two things that really stood out for me were the delightful fragrance and the way it made my skin feel immediately after applying it. It made my skin instantly feel velvety and smooth and I can only imagine what it could do for your skin if you used it consistently. Unfortunately I can not afford to use it every day though. Thank you for reading my post and I hope that I was able to help you look and feel even a little bit better. There are so many anti aging serums on the market these days and I really hope I was able to help make the choice a bit easier. Have a great day and just for fun I put one of my favorite puppies and babies video below – sooooo cute! Thanks for this information. As I am reading your post, I keep on wondering whether these products can be used by men as well. Can they be used? Another thing, are there any side effects when using these products? Are the good effects outweighing the bad ones? Lastly, I’d like to give some feedback. I appreciate the information, but it would be more pleasurable if you can write in shorter paragraphs. But all in all, it was a good article, and thanks for sharing. Hi Gomer, of course men can use these serums as well! Some people will sometimes get breakouts when they use certain products but hopefully my guide should help avoid any side effects, though I am not a doctor or dermatologist so you should always seek professional advice if you are concerned. Thanks for your input and have a great day! Anti-aging creams are really difficult to pick and since they cater to a really broad range of ages, it becomes even more difficult to find a perfect cream for your age. Do they have creams which would pertain to a certain age range nad really help women who have just reached 30 and have started seeing fine lines? Hello Shrey, the pro active approach you are taking is great! Something like the OZNaturals â€“ Hyaluronic Acid Serum With Vitamin C would be good to start using, and look after your skin as best you can with moisturizing often. Have a nice day!